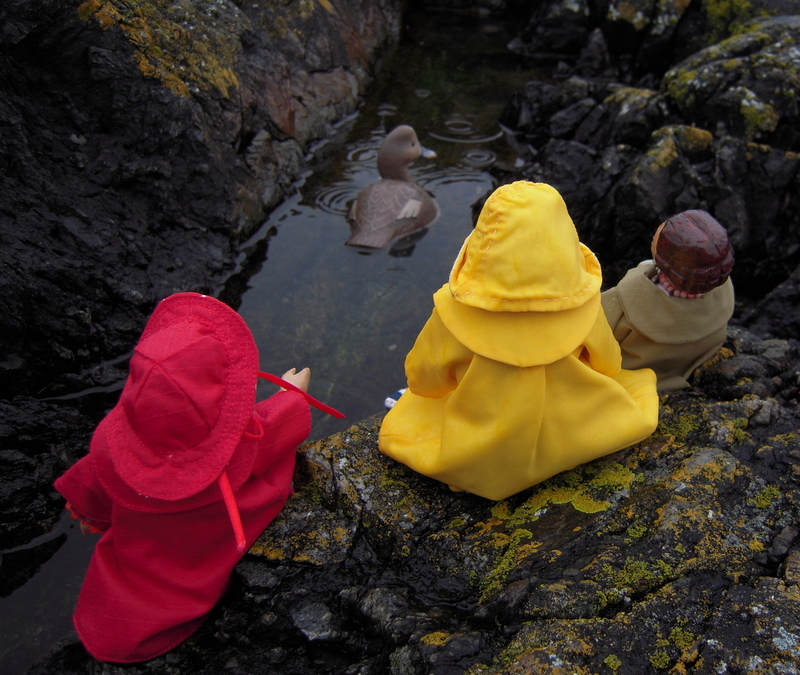 On another rainy Saturday morning, Constance takes her sisters Tansy and Linnea birdwatching down by the tidepools. They spot Harlequin Ducks, Oystercatchers, Canada Geese, Buffleheads, and this very unusual quarter-sized female Redhead Duck. Nice Weather for Ducks – eh? A cosy afternoon with Austen, Shelley and Mitchell. 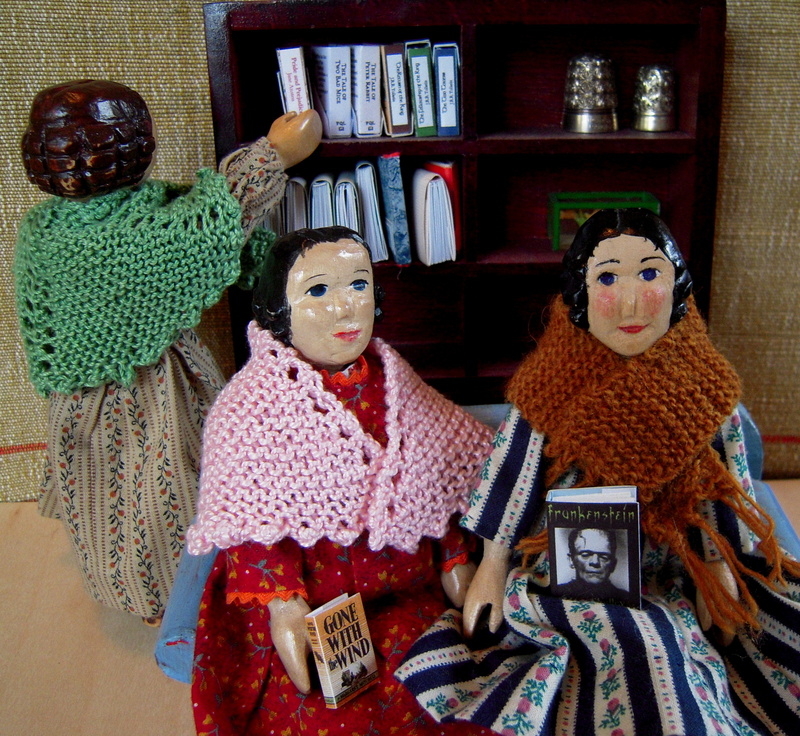 The sisters spend the afternoon reading and listening to Donizetti’s L’elisir d’amore on the radio. Fortunately in the Opera, the two lovers get together in the end despite the machinations of the big quack. And Nemorino sang his big teary aria TWICE! Each of the Hittys have their own favourite story about love… Tansy and Linnea shed una furtiva lagrima at the end of their stories, but they all agree that their preferred elixir is tea. That is a very rare bird sighting for the west coast. They now have an unusual entry in their birding list. According to the Victoria Natural History Society checklist, the Redhead Duck is rare for this area – it occurs most years but there are few sightings every year.